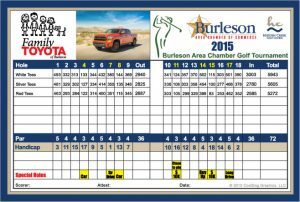 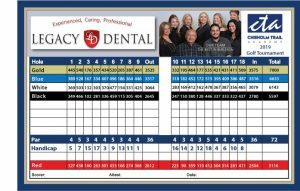 CdgLinks designs, prints and distributes premium quality scorecards for golf courses and golf tournament events. 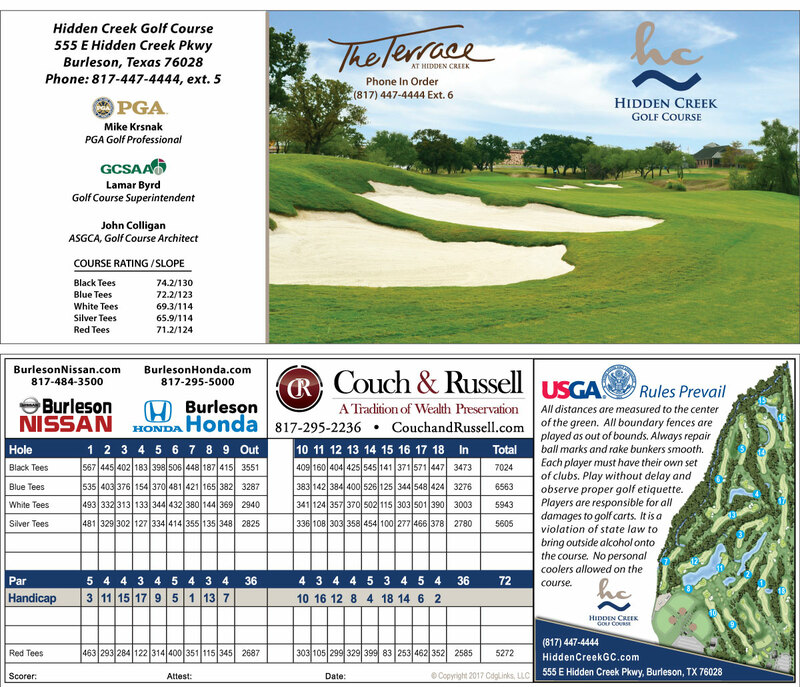 Each card is custom designed by graphic artists that are trained to create golf scorecards that are a step above a normal scorecard design to enhance the course experience. 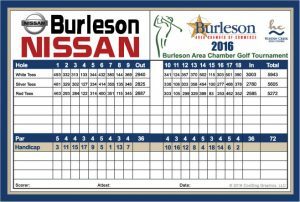 Scorecards that are funded through advertising may be available to approved courses at no charge. 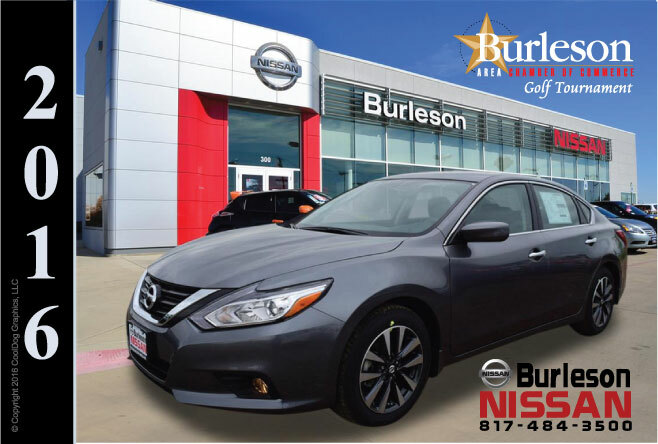 Contact us to learn more: 817-447-4450. 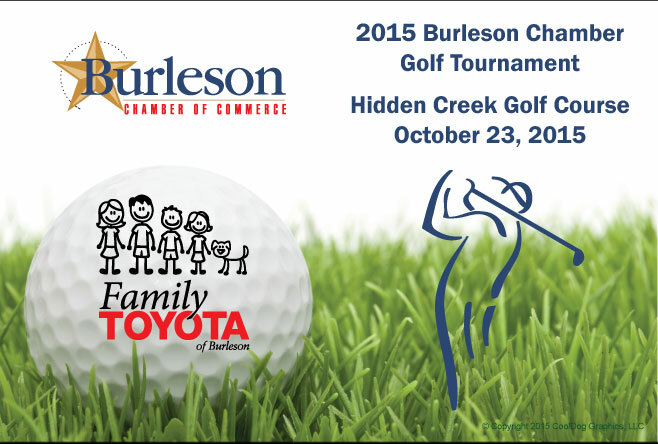 Golf tournament event coordinators are constantly looking for new ways to generate revenue. 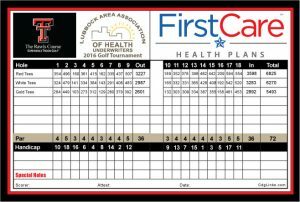 These scorecards provide just that, an exceptional opportunity to raise additional money through premium placement above the scoring area. 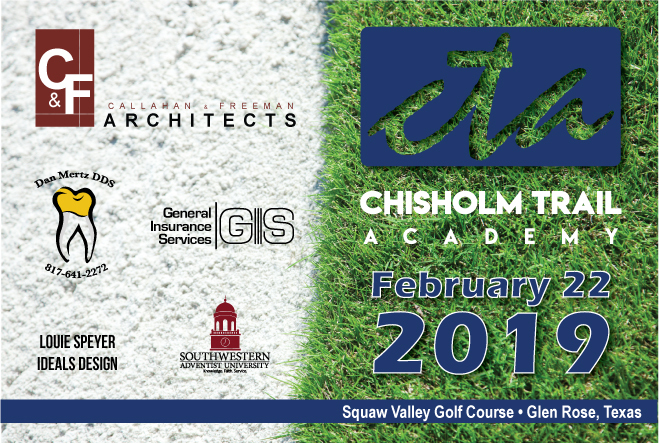 The sponsor that purchases the spot receives some of the best exposure of the event… 4-5 hours of continual branding for every golfer at the event. 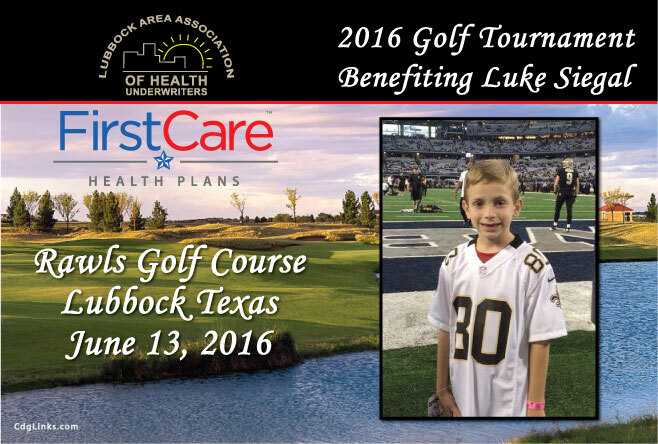 It’s a win/win scenario for the organization and the sponsor.